[OSEN=박판석 기자] BLACKPINK will perform the summer remix version of the group’s new song “As If It’s Your Last”. On July 23, BLACKPINK will be performing the summer remix version of “As If It’s Your Last” for the first time ever on SBS’s Inkigayo. The remix version puts an emphasis on BLACKPINK’s unique freshness more than the original version to make the song perfect for the hot summer season. “As If It’s Your Last” achieved a triple crown last week, so it was excluded from the rankings. Therefore, BLACKPINK only made the summer remix version of the song as a present for the fans. It will not be released online. The music video of the song is setting record-breaking YouTube views every day, and it was made to thank the fans. They also extended their promotion of the song for another month. BLACKPINK’s Japan promotion will start on August 25. Until then, BLACKPINK will perform the remix version and record their new songs. They will release new songs as soon as possible and not go on a break until the end of this year. BLACKPINK has established a strong presence on the music scene after they released “As If You’re your Last” last month. The music video of the song broke all the records from the10 million to the 70 million view mark in the shortest time in K-pop history. BLACKPINK also became the first K-pop girl group to become No.1 on the iTunes chart of 18 countries and US Billboard’s World Digital Song Sales chart for two weeks in a row with a single. 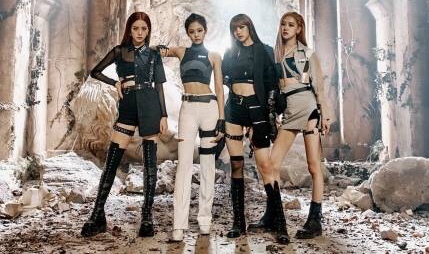 Although BLACKPINK debuted less than a year ago, their new song was chosen as Apple Music’s Best of the Week songs, proving the group’s global popularity.